In an earlier post, I mentioned that my back had gone out on me, which means we have been keeping things as simple as possible around here this week! It’s amazing how fast things can fall apart when mom is out of commission! Having our washing machine break at the same time was the real kicker! I’ve learned just how much I have to be grateful for this week. I’ve always complained about doing laundry and making meals, but after this week, I will be ever so grateful to have clean laundry and the ability to stand up straight and cook a meal! It’s times like these that call for disposable dishes, lots of help, simple meals, and COMFORT! My husband is at the store, as we speak, buying paper plates and a quick dinner, my kids have been incredible help (I know, I was shocked too!) and expectations for home cooking have been very low. As far as comfort goes, my bed has been my best friend lately, but so has the love I have received from family and friends. Food is an amazing source of comfort. I thought I’d share a favorite southern recipe today since southern food has a great reputation for comforting the soul! Of course, it’s also going to be SUPER simple. 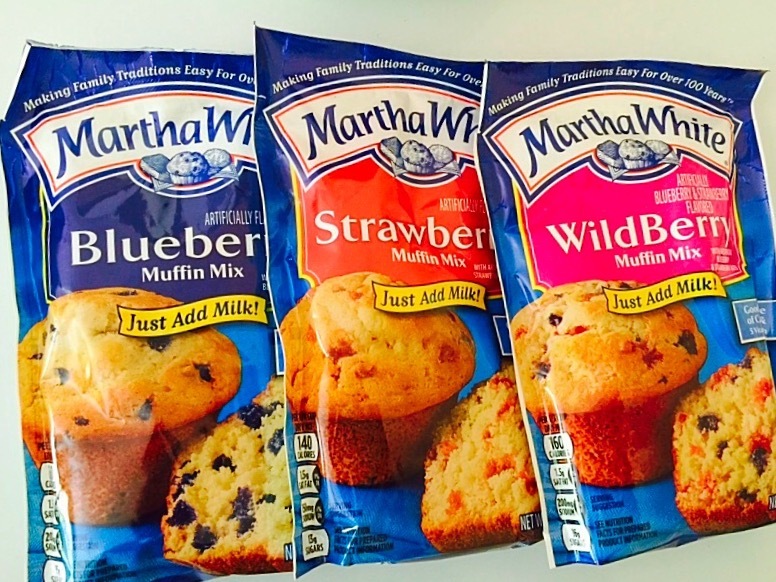 I recently bought some Martha White® Baking Mixes at Smith’s thinking they would come in handy in a pinch. 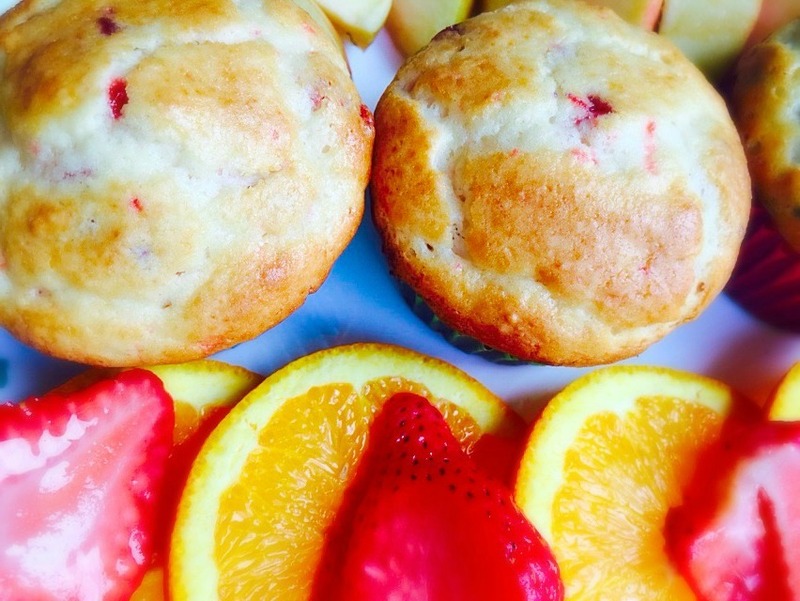 My kids used some of them to make muffins for breakfast. I thought they did a pretty good job! 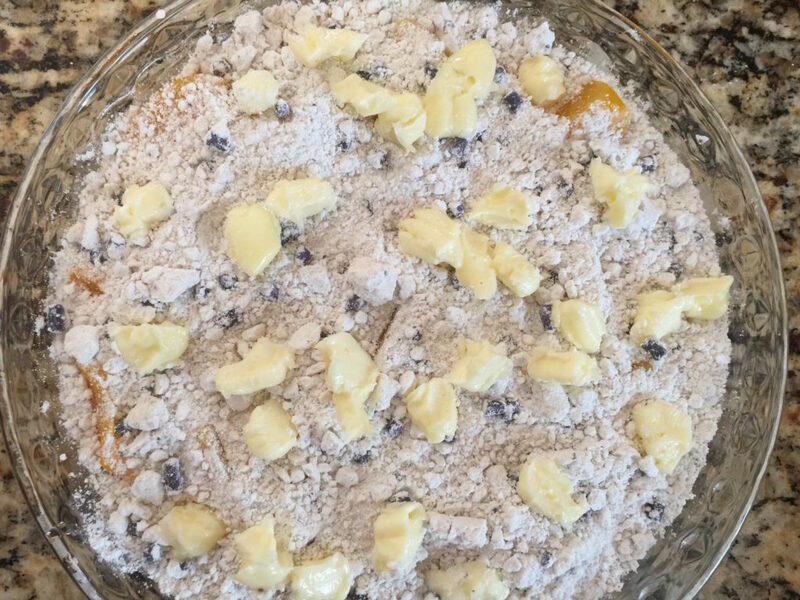 I still had some blueberry mixes left, so I decided to make a Blueberry Peach Cobbler. It only took me 5 minutes to throw together so it was perfect. 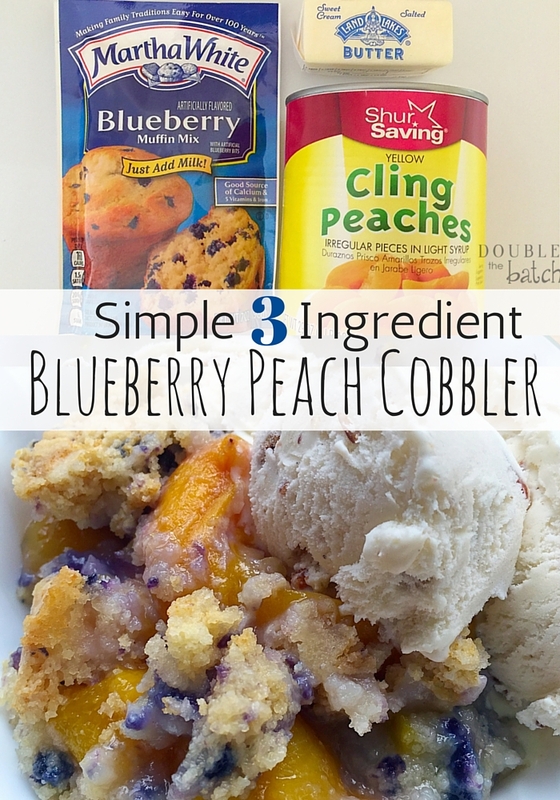 I used a package of Martha White® Blueberry Muffin mix, some butter, and a can of peaches…and done! It’s really an easy process. My kids can actually make this. 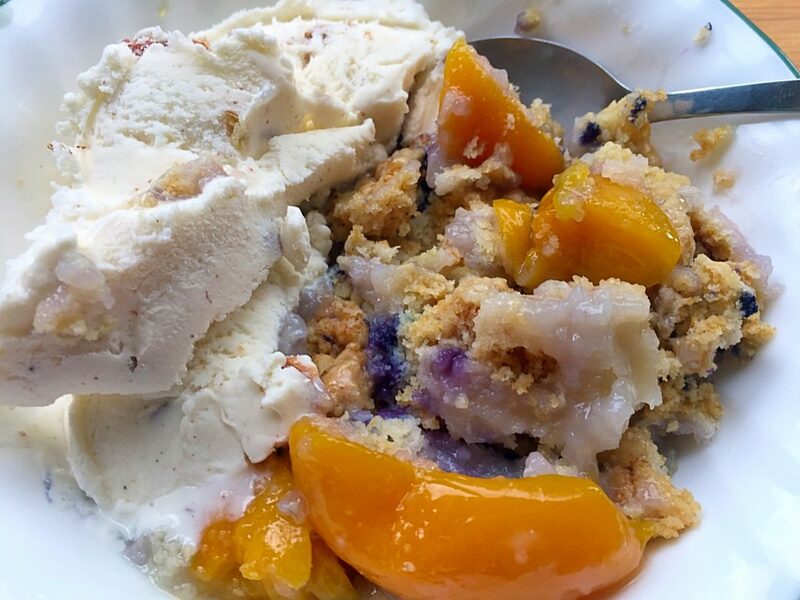 I dumped a 29 oz can of peaches (in light syrup) into a pie dish ( removed about 3 tablespoons of the syrup because mine had a lot), then sprinkled Martha White® Blueberry Muffin Mix over the top. Last, I dropped small dots of butter over the entire top (about 1/2 stick). Then I just covered it with aluminum foil and baked in a preheated oven @350 for 50 minutes. I removed the foil for the last 10 minutes. Then I let it sit till it was completely cool before serving. Delish! I topped it with another one of my comfort food faves…butter pecan ice cream! So, to make a LONG week, short, I may not be able to bend over and touch my toes right now, and we may have stacks of dirty laundry, but we do have happy tummies tonight! What is your favorite Southern Recipe? How will you comfort someone in need this week? 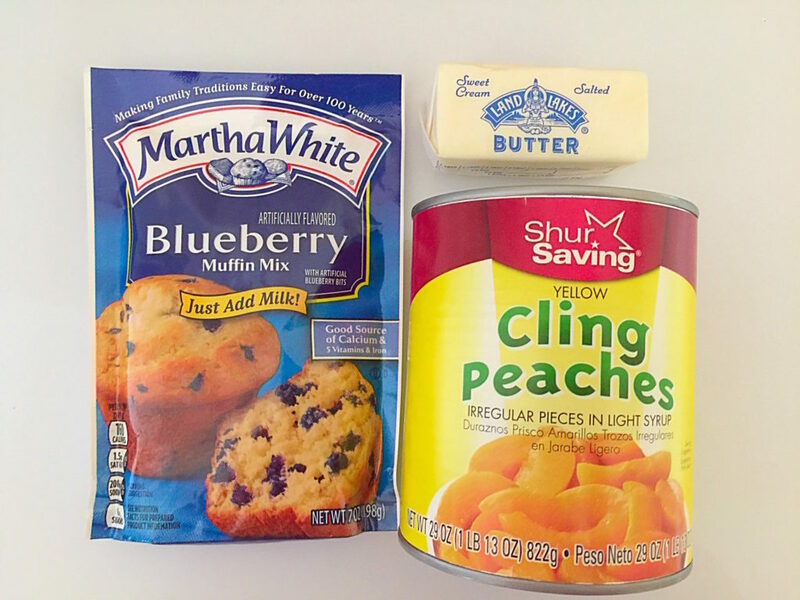 Martha White® Baking Mixes can be found at any Kroger banner store.